Microsoft releases its entry level budget Lumia 532 Smartphone with 5 MP Camera, Snapdragon Quad-core processor with 1 GB RAM. The design of phone looks like its Asha series phones and Plastic body having Semi-transparent layered design around the edges of the back cover, and it has 4-inches WVGA (800x480p) display with wide viewing angle and fair brightness. Snapdragon processor with 1 GB RAM makes it smooth user experience. On the basis of official site it has 1560 mAh battery which is capable of giving 12 hours talktime in 3G network. Windows phone having 4 inches screen with 5 MP Camera. Microsoft announced that Lumia 532 will be upgradable to windows 10. The absence of Flash light may alter the decision of buying for many customers. No gorilla glass protection for the screen. Battery discharging- Check How to increase battery backup. 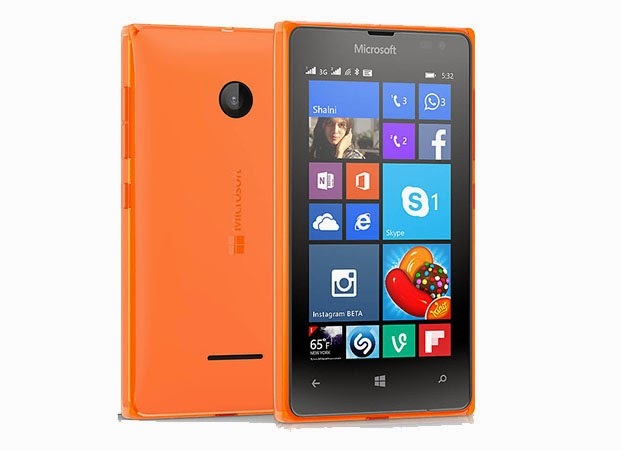 The best thing about Lumia phone is that they do not hang like Android phones, and the Lumia 532 is loaded with all the features required to a normal user in a phone. It’s an entry level windows phone so you can’t expect heavy features. Its good phone if you do not mind the cons described above.